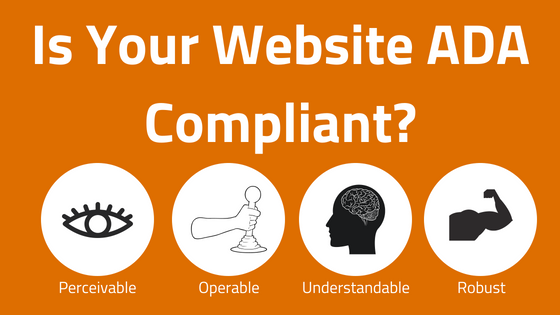 Does Your Website Have To Be ADA Compliant? Not everyone has heard about the latest website craze of being ADA (American Disabilities Act) compliant, but they should. ADA compliance has nothing to do with conversions, SEO or the American Dodgeball Association. But it does have everything to do with your website being accessible by everyone that can get online, including those with disabilities. ADA compliance is still considered relatively new in the online world. 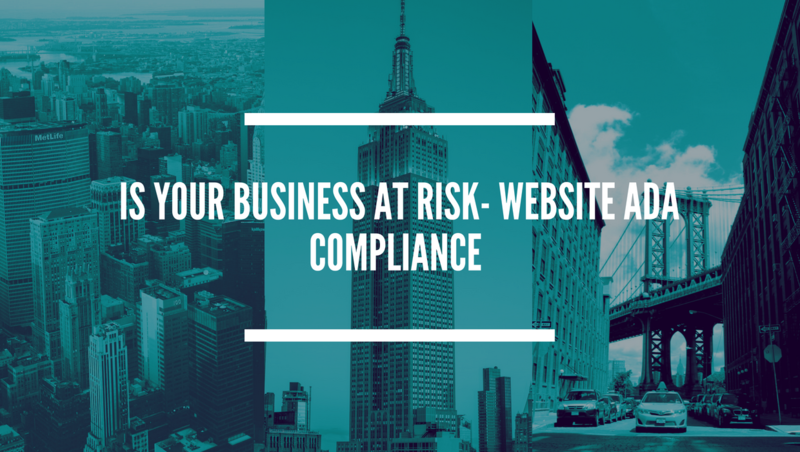 Recently I sent out an email to our database informing our clients and prospects of ADA compliance and how they can check their own website to see if they were in compliance or not. I was very pleased to see that the email did very well, but more importantly I just want folks to know what this is and that it can be very costly for your company not to be in compliance. 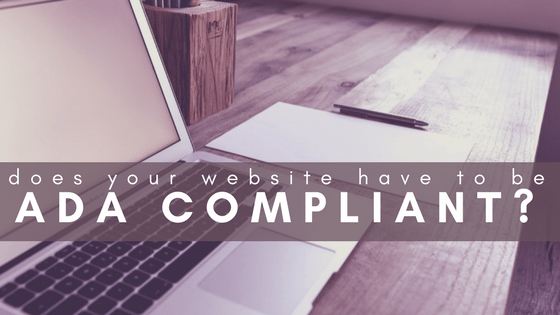 I have had the question brought up a few times asking me, “Does my website have to be ADA compliant?” and my answer may shock you. The answer is, “No” you do not have to have a website that is ADA compliant. At least as of when this post went live. The government has been talking for over a year to make it into a law and impose fines to companies that are not in compliance, but as of yet, it has not made it that far. So by law, you don’t have to be. Just like your website doesn’t have to be responsive and built for mobile first, you should though. Depending on how old and how your site was created really determines how much the update would cost or how long it will take. This is minimal when you consider the cost of going to court and more than likely losing over your website not being accessible to everyone. Companies such as Winn Dixie, Foot Locker, Toys R Us, and Brooks Brothers to name a few have been sued for their website not being ADA accessible. There is no rule saying they HAD to be, but that doesn’t stop someone from filing a lawsuit and the very likelihood of winning. Did I mention there are law firms that specialize in this? 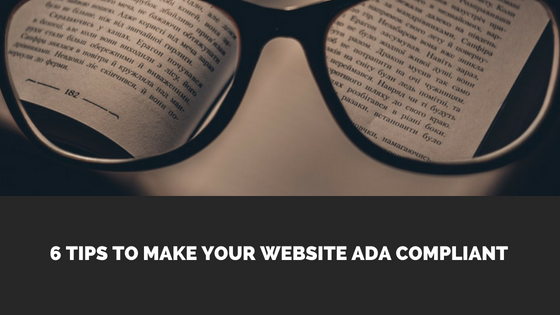 If you are planning on getting your website redesigned as it is recommended to get a redesign every four years or so you will want to make sure it the redesign includes being ADA compliant. Also, if your site is not mobile friendly or responsive for all devices, you should consider a redesign. 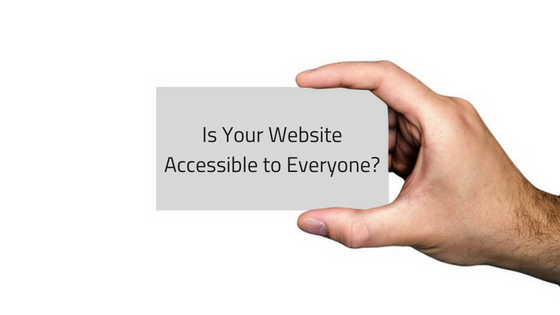 As a business owner or someone that is responsible for the company’s marketing, you should ensure that your site is accessible on all platforms; TV, desktop, laptop, tablet, phones and of course by those that are hearing and sight impaired. Right? Imagine going to a tradeshow or networking event and only talking to those that are on the right side of the building. This is the same thing that could happen with your website. Example: If your site is not mobile friendly, you will never encounter someone like me. Over 90% of my research and transactions occur with the use of my cell phone. I can’t tell you how many restaurants I have skipped because I couldn’t read their site or access their menu. 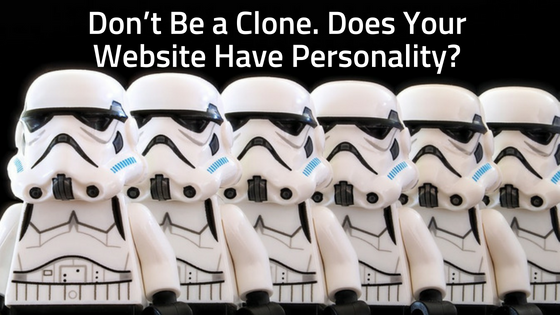 Ask yourself this, is it worth it to skimp on your website? Shouldn’t it be fully optimized in every possible way? It should be able to be found, it should be accessible by everyone and should be easy to use on all platforms. If you can do all that, you are set. Don’t risk your profits by having to spend them in court because you would rather take the chance.